Round Mattress and Round Beds On Sale Now! Round Beds and Round Mattresses once dominated in the 1970’s have made a successful comeback. Whether the round bed or round mattress is for a youth, or someone interested in replacing their standard size bed, or just wanting to try this distinctive round shape bedding set, round beds are here to stay. Rounded corners are also an Orange Mattress/Custom Bedding specialty. Each Round/Circular mattress is specifically made to order within the diameter size you wish. In order to correctly make your round mattress we ask that you measure the diameter of the current round bed or, measure the space vertically and horizontally in order to determine what size round bed you will fit within your space. We can accomodate you as far as firmness level and feel depending on what type of round mattress you like. In addition, we can make for you heavy duty foundations which look like box springs in any height as well. This way your round bed will be sure to meet your specifications to the T. Why not be the talk of the town with your new round bed. Check out our round toppers too. If you need that extra cushioning feel, we can provide this to you in any size. 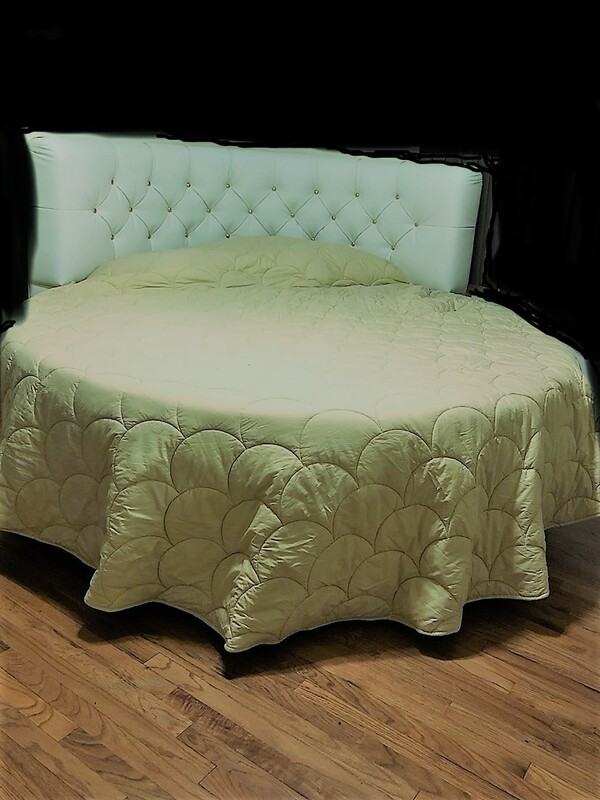 In addition, round bedding such as round or cirular sheets, Mia Mattress Protectors, Round comforters, and, round bed spreads, and round headboards are available. Our family business has been providing round beds for over 50 years.